Staying comfortable at home or at your place of business is a little easier with the help of our trained HVAC contractors in Berlin. We offer complete air conditioning, heating, and indoor air quality services, so that the entire building remains as comfortable as you need it to be. We also offer complete refrigeration services for commercial properties. If your HVAC systems require repair, replacement, or maintenance, just call our team, or let us know if you’re considering a brand new installation. 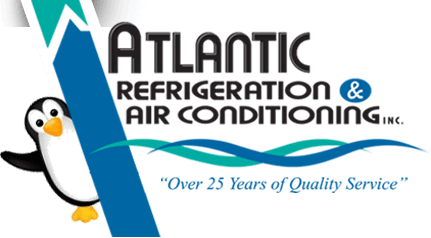 Atlantic Refrigeration & Air Conditioning, Inc. is a trusted name in home HVAC services throughout the Berlin, MD area. Give us a call and get excellent customer service and quality workmanship. We offer complete air conditioning services for homes and businesses in the Berlin, MD area. From the initial installation of your air conditioner to the maintenance tasks that keep it running well throughout its lifespan, we can do it all. Our professional team includes some of the finest technicians around. We stock high–efficiency air conditioning equipment as well as accessories like thermostats and zone control systems. Contact us for help keeping your property cool all summer long. Even the smallest sign that something is wrong with your air conditioner could turn out to be a big deal. Call a technician any time you notice something unusual with your air conditioner. This includes odd noises from the system, a drop in the temperatures in your home, or a problem with the way the unit starts up or shuts down. We offer expert air conditioning repair in Berlin from technicians with years of experience. Traditional heat pumps (heating and cooling systems) rely on heat in the air around the unit for the heat exchange process, in order to heat or cool the home. Geothermal heat pumps, on the other hand, use the heat in the earth, which stays at a more stable temperature for most of the year. This means these systems can operate more efficiently. They also tend to need less maintenance throughout their long lifespans. No matter what your home heating needs may be, our heating experts have it under control. We install and service boilers, radiant heaters, geothermal systems, heat pumps and ductless split systems, and furnaces. Our heating repair experts have enough experience to tackle any sudden problem your heating system encounters. And with our heating installation services, you can get an efficient new heater that actually lowers your bills, especially when combined with our maintenance services. Call today to learn more about our experience and to get our excellent customer service. If you have an older furnace that needs frequent repairs or adds excessive amounts to your energy bills, it is time for an upgrade. Today’s gas and electric furnaces are more efficient than ever before. A high–efficiency gas furnace can potentially save hundreds of dollars a year. We offer furnace replacements along with new installations, maintenance, and expert repairs. Do not hesitate to call our team the moment you notice unusual behavior from your heating system. Our boiler repair specialists can take a look at your boiler as soon as you notice loud noises or other faults with the operation of the system. We know how important it is to stay comfortable on a cold winter night, which is why we offer 24–hour emergency services. Problems with your water heater can grow quietly, and may not become apparent for quite a while. The sooner you can address a given problem, the better off your system will be. That’s why we offer both repair and maintenance services on tank water heaters and tankless water heaters alike. Repair services fix big problems, while maintenance services can stop them when they’re still small and manageable. That way, your water heater is always functioning at its best! Our specialists can help you to eliminate all of the most common contaminants found in the air in homes in Berlin, MD. We offer a number of systems that may help to keep your most aggravating symptoms under control. This includes UV air purifiers and effective air filtration systems. We also offer systems that help to keep the air more comfortable, including humidifiers, dehumidifiers, and energy recovery ventilators. Learn more about which system is the right fit for your home and get your allergies under control by scheduling an indoor air quality installation today. In very cold, dry weather, you can continue to turn up the temperature on the thermostat without really feeling the results you want. This is because the lack of water vapor in the air makes you feel cooler than the temperature on the thermostat would actually indicate. A quality humidifier can add moisture to the air throughout your home, and it may help you to save some money on your heating bills. Dehumidifiers are particularly helpful on hot humid days, when high levels of moisture in the air make it difficult for you to stay comfortable. Additionally, high humidity can contribute to the development of mold in a home. A whole–home dehumidifier might be the right choice for you. Call a trained indoor air quality specialist on our team for more information. We offer air purifiers that can get rid of some of the contaminants known to cause the most irritation to residents of Berlin, MDD with allergies or asthma. Our air purifiers eliminate the majority of allergens that pass through your HVAC system. And our UV air purifiers can help see to it that bacteria, viruses, and mold spores in the air don’t bother you. Our refrigeration and HVAC specialists are happy to see to it that your commercial property stays comfortable, and has the proper systems in place to keep products at the proper temperature and humidity levels. Trust our team for everything from installing new commercial boilers to servicing a commercial air purifier to fixing a component of your walk–in freezer. We will do what we can to get the important systems of your business back up and running as soon as possible. We can install a new packaged air conditioner, replace or repair a broken air conditioner, or provide the maintenance necessary to keep a commercial air conditioning system in good condition. Just contact our friendly team for your next commercial AC service and count on quality work from local technicians near Berlin, MD.